Change is proud to welcome the Kevin G. Langan School in Albany, New York, as a new Change user. Nadia Stadnyk, an Assistive Technology Specialist at Langan School, recently talked with us more about this organization, it's mission, and how Change is helping students there learn life skills. We serve: Students ages 5 – 21 with multiple disabilities, autism and traumatic brain injury. Our specialties: the RAAVE Program: Responsibly Addressing Autism via Education and the MOVE Program: Mobility Opportunities via Education. Read more about these specialties. Our goal: To provide students with a safe, nurturing environment that promotes learning and encourages each student to reach their fullest potential. How we use Change: We have established a School Shop where students practice functional Life Skills. They use the Change app to ring up customer orders and give change. A student and aide ring up an item with Change at the Langan School Shop. 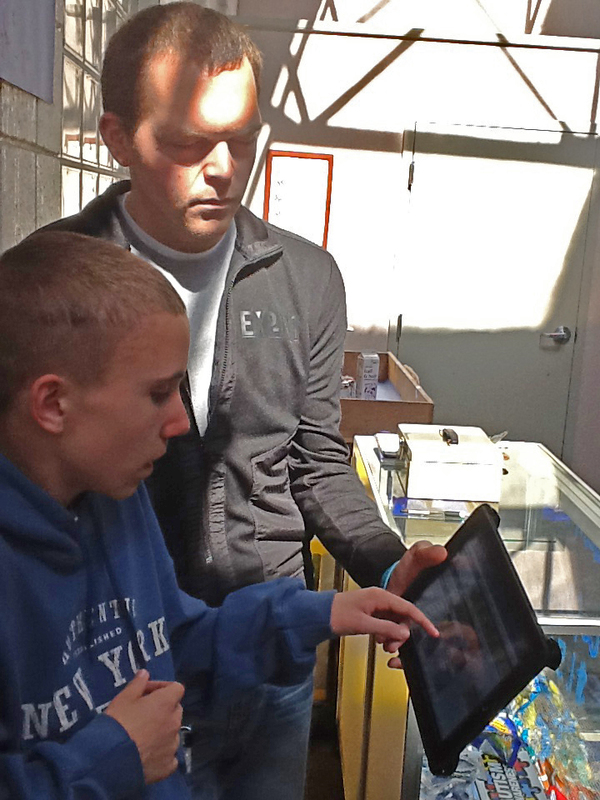 Why we love Change: It helps our students participate in all aspects of the School Shop. With the Change's picture supports, students can complete cash exchanges with the Shop's customers even if they do not have the requisite reading and math skills. Our students’ favorite thing about Change is: It lets them do their job! Because of Change, students can participate at a maximum level in the sales transaction. I would recommend Change to: Other facilities that need to use picture supports so their clients can complete functional life skills like sales transactions, making change and totaling cost. Change's picture icons are easy to use for students of all skill levels.